Fewer new houses are being built in Lewes, data from the Ministry of Housing, Communities and Local Government has revealed. 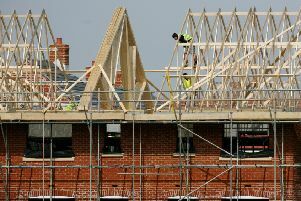 The latest Ministry of Housing, Communities and Local Government figures show 220 houses were completed in Lewes during in 2018, down from 260 the previous year. In Lewes, private developers funded 91 per cent of all new homes, while housing associations paid for the rest. Alongside completed homes, building started on a further 230 sites in Lewes between January and December 2018, up from 220 during the same period in 2017.